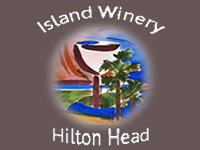 Island Winery makes artisan wines hand-crafted on premise, specializes in fine red and white wine, and are famous for their Low Country Specialty Wines. They invite you to stop by their charming tasting room to enjoy and learn about wine with friendly tasting room staff and relax with friends amongst the wine barrels. 843-842-3141. 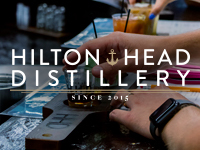 Here at Hilton Head Distillery, we invite you to set sail on a voyage into a new and improved drinking experience. Specializing in rum and vodka, we handcraft all of our spirits with a careful, artisanal hand. Enjoy neat samples and cocktail flights at our Cardinal Rd. tasting room and taste the difference for yourself! “Click here to book your Distillery Experience today!” 843-686-4443. Hilton Head Island is the perfect backdrop to enjoy a refreshing adult beverage. Whatever your preference, the Island has a plethora of options. Whether it be a crisp glass of white wine, a micro brew or a world-class cocktail, we’ve got you covered… find it all at one of our wineries, breweries and distillery.